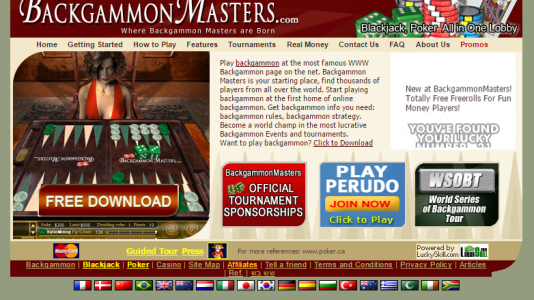 Backgammon Masters is seriously mishandling player Support issues. They’re making up bonus Terms & Conditions as they go along, refusing to cooperate with players to settle account issues, and ignoring third-party attempts to assist in resolving the problems. 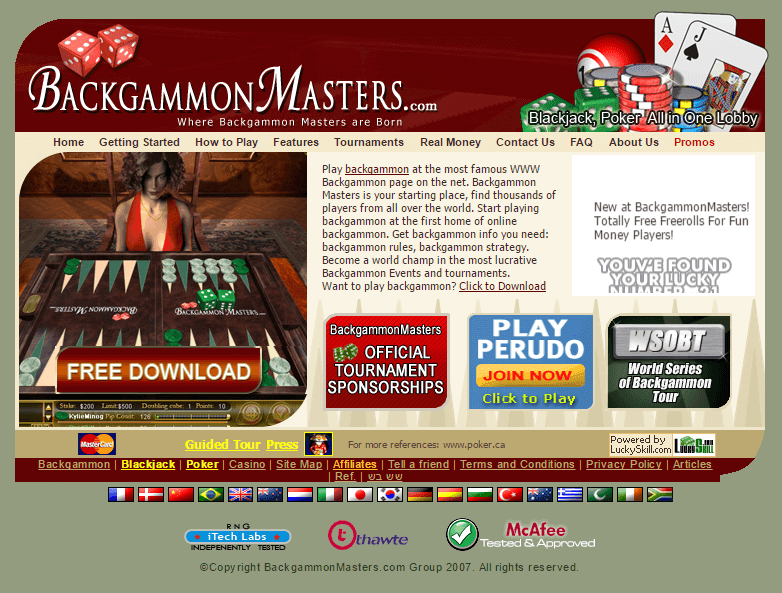 On 2 December 2010 i joined BackgammonMasters casino. On that day i won a freeroll tournament wining 25$ real money bonus. I spoke on the live chat what that bonus means and they told me that the bonus must be wagered x50 times and on non casino games, so i had to make my deposit (at least 25$ in order to change my real money bonus account into a real money account due to their T&C) and next to wager 1250$ on non casino games. (i mention that on their T&C is nowhere stated about restricted games)I agreed, but i asked what happens if i lose my entire balance before filling the 1250$ wagering requirement. Their answer was SHOCKING: the remaining wagering requirement remains even after the entire balance is lost !!! (this is also no specified in their T&C)I told them i do not agree with this unwritten rule and asked them to remove that bonus from my cashier, and that after that i`ll do my deposit. They refused to remove the bonus. Weeks later i have finally managed to speak with their tech manager on the live chat and i asked him about the bonus expiration date, he told me that my bonus have no wagering requirements, but that he fixed my bonus expiration date on 16 December 2010 and that if i do not use the bonus until that date it will expire and will be removed from my cashier. (in their T&C is nothing stated about bonuses expiration date also)Well, all that stuff about bonus was looking pretty goofy to me so i did not did my deposit and i just left the bonus there to meet its expiration date without touching it. Now that bonus is still in my cashier and they do not want to remove it claiming that they can not remove a bonus. I clearly shown them the live chat logs via email and now they do not respond about this question, and when i contact them via live chat they claim that they are just chat operators and that they do not have access to the emails. 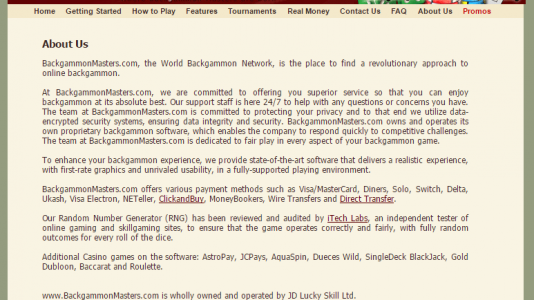 I KNOW that they have access to the emails sent and received because yesterday i`ve had another problem which i must expose you here too:Meanwhile i have registered an account on www.mywin.com , and immediately asked them via live chat if i am allowed to keep my account with them since i have another account with www.backgammonmasters.com because the network is the same. Their response was that “BackgammonMasters website is NOT RELATED with MyWin website and so i am allowed to keep my both accounts“ !!! Here on www.mywin.com i deposited right away, they called me next day and verified my account by phone. My username on MyWin is username1* and my username on BackgammonMasters is username2 , on both sites i have registered my account using my email address my_email@gmail.com . The problem is that yesterday i have received an email from BackgammonMasters marketing calling me on the username i am using on the other site, PlayLive. SINCE i was told that those two sites ARE NOT RELATED , it was looking VERY WEIRD to me for one of the sites to address me using the username i am using on the other site. So i have contaced BackgammonMasters live chat to ask them what was that incident about. The customer care first response was that nobody sent me an email, i sent their mail back and then they accused me that i have faked the email they sent to me, changing the username they have addressed me !?! Telling them i have no reason to do so, the lady from the live chat invoked that my reason is/was to waste her time. We made three attempts to contact this casino. No response. Avoid this casino at all coasts. Software provider: Lucky Skill Ltd.
Parent Company: Lucky Skill Ltd.